Ships today if you order in the next 15 hours 43 minutes. 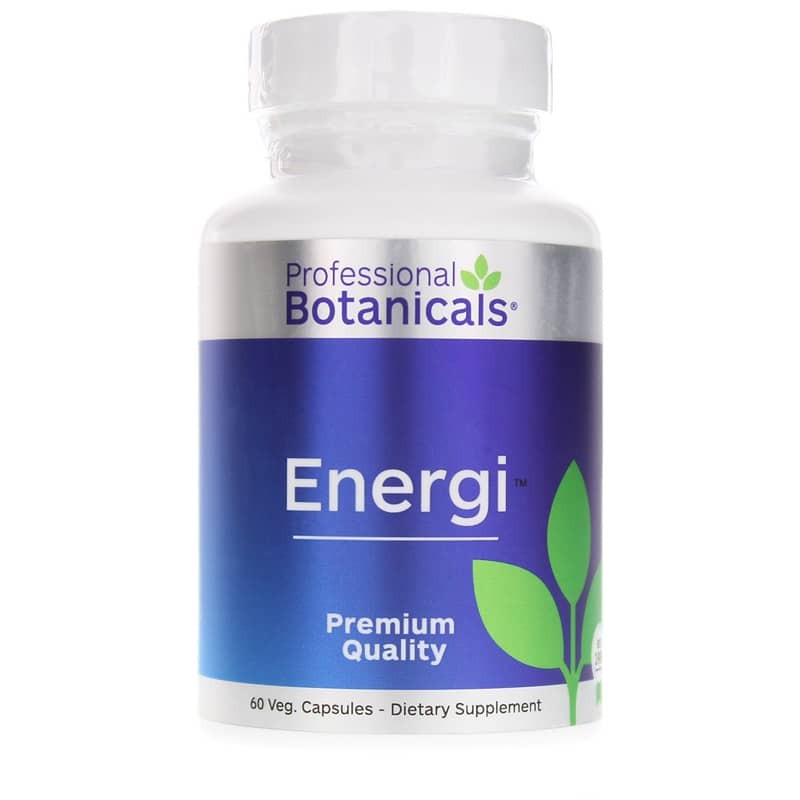 Energi with Green Tea Extract from Professional Botanicals contains a blend of vitamins, minerals, botanical extracts and more to support healthy energy. This formula also contains green tea to support your health. Green tea is made when tea leaves do not undergo the normal oxidation process that creates black or oolong tea. Instead, these unfermented teas contain antioxidants called polyphenols. The antioxidants seek to protect cells from oxidation, which is a process that produces free radicals that may damage otherwise healthy cells. Green tea may also support a healthy aging process, and promotes immune system health. 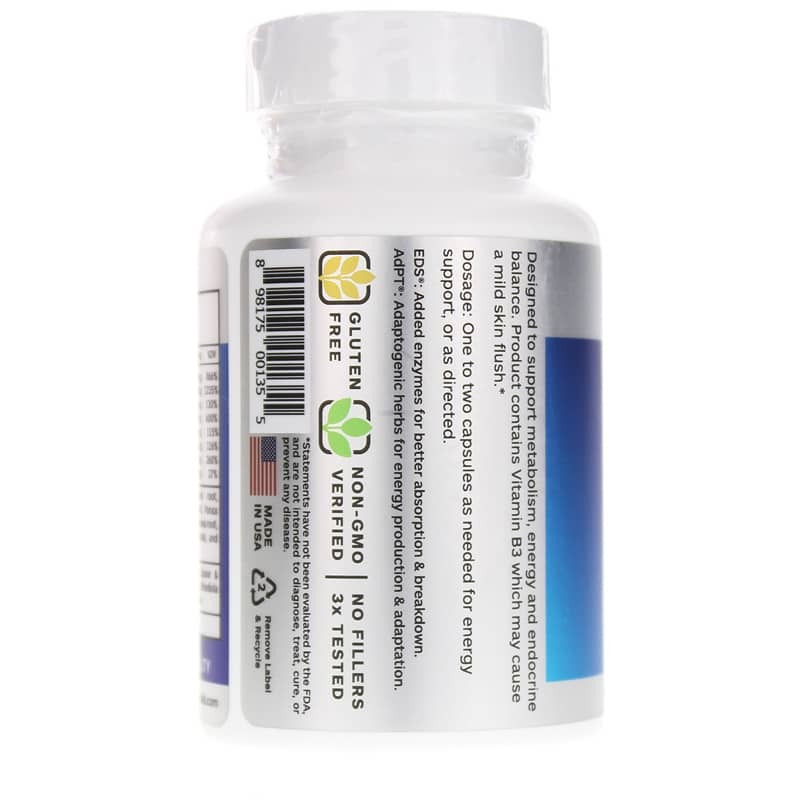 Energi with Green Tea Extract also contains a B vitamin complex, which includes vitamin B12. B12 may offer support for healthy energy levels. A proprietary herbal blend with panax ginseng, maral, moomiyo, eleuthero, ashwagandha, and other nutrients offers additional support. While this blend includes caffeine, it is gluten-free and non-GMO. 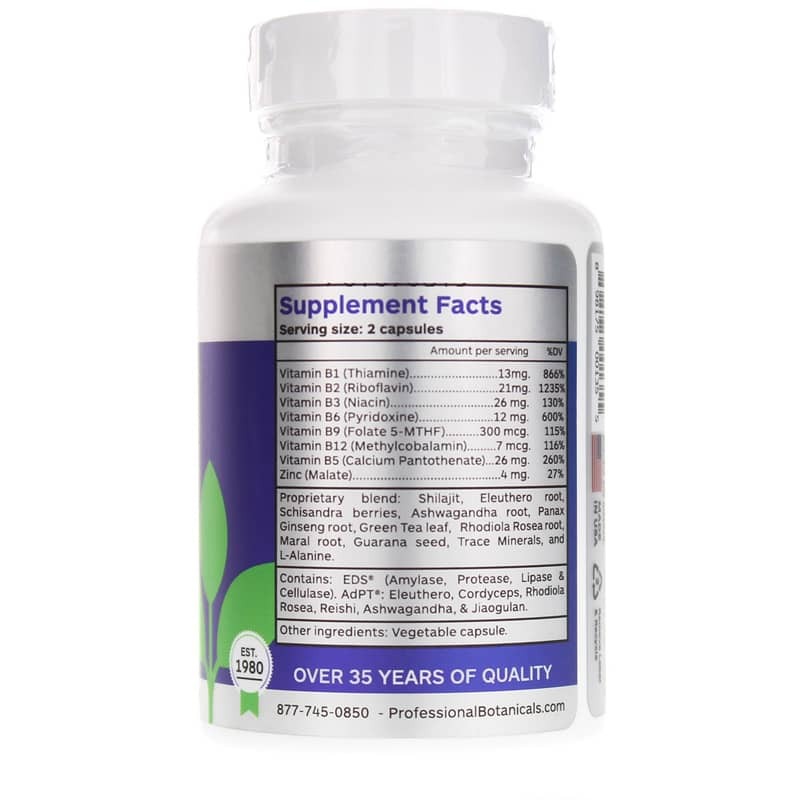 If you’re looking to support healthy energy levels and antioxidant activity, see if Energi with Green Tea Extract from Professional Botanicals makes a difference to your health. ---Schilajit, Eleuthero root, Schisandra berries, Ashwagandha root, Panax Ginseng root, Green Tea leaf, Rhodiola Rosea root, Maral root, Guarana seed, Trace Minerals and L-Alanine. AdPT: Eleuthero, Cordyceps, Rhodiola Rosea, Reishi, Ashwagandha and Jiaogulan. Other Ingredients: vegetable capsule. Contains caffeine. Adults: Take 1 to 2 capsules as needed for energy support or as recommended by a healthcare professional.